here are 136 different properties for sale in Payson, Utah. Most of these properties are residential, single family homes, but there are a few luxury condos or townhomes in Payson. Prices of Payson Real Estate have gone down over the last four years. Prices range from a low of $50,000 to $249,900. In 2013 houses that sold had a median sold price of $164,000. In the 3rd quarter of 2013 the average single family home that sold in Payson was $172,. Other real estate on the market in Payson includes 17 condos, 1 multi-unit buildings including duplexes, triplex, and fourplexes and other multi-family properties for sale. Request a daily list of Payson Utah homes for sale: List of Payson Utah Homes for Sale. If you have questions about buying or selling a home in Payson Utah contact a group of Utah County Realtors. If you need help Selling a home in Payson Utah let Team Teasdale Realty give you a free comparative market analysis (CMA). There are new and old homes alike in Payson. Many of the major neighborhoods and developments have names like Cherry Orchard Estate, Saddle Brook Estates, Orchard Park, Applegate, Carriage Place, Springside Meadows, Willow Grove, Springside Meadows, Maples At Brookside, Canyonway, Sunny Hill Circle, Payson View, Canyon Cove Estates, Greenridge Landing, Payson Farms, Kester and Elk Ridge Meadows. Payson Condos for Sale - Payson has a few luxury condos for sale. They are found in Parkplace Townhomes, Ridgestone, Greenridge Townhomes, Park Place Townhome, Mountain View Estates, Nebeker Grove Subdivision, Rosewood Estates. Condos offer several advantages over single family homes. Namely, they are substantially less expensive per square foot, and they include very little land. Home Owners Insurance on condos is also cheaper than single family homes as the exterior of condos is usually covered by the monthly home owners association (HOA) fee. View Payson Utah Condos for Sale.Payson Condos for Sale - Payson has a few luxury condos for sale. They are found in Parkplace Townhomes, Ridgestone, Greenridge Townhomes, Park Place Townhome, Mountain View Estates, Nebeker Grove Subdivision, Rosewood Estates. Condos offer several advantages over single family homes. Namely, they are substantially less expensive per square foot, and they include very little land. Home Owners Insurance on condos is also cheaper than single family homes as the exterior of condos is usually covered by the monthly home owners association (HOA) fee. View Payson Utah Condos for Sale. It is definitely a buyers market in Payson. The average MLS listing has been on the market for a hundred days. Home prices may drop a little more as there are many motivated sellers, short sales and bank foreclosures in Payson. The bottom is difficult to predict. Large real estate discounts can especially be found on the high end, land, and spec homes as many properties are entering default and are in danger of foreclosure and or short sale. The majority of Payson homes for sale are sold by Realtors and are listed on the Multiple Listing Service. 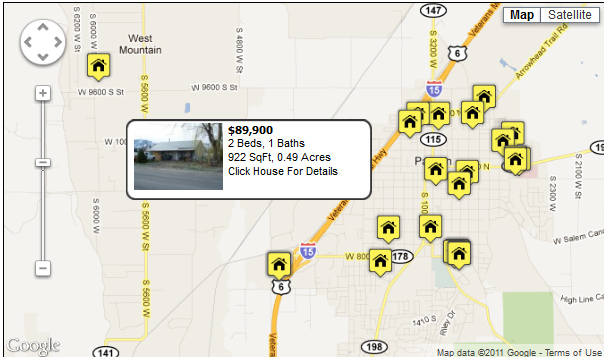 Would you like to search bank foreclosures and short sales only in Payson? 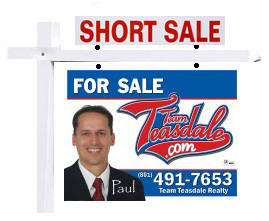 The links below provide lists of only Short Sales and Bank Foreclosures in the Payson area. Payson Utah Real Estate Webstie.